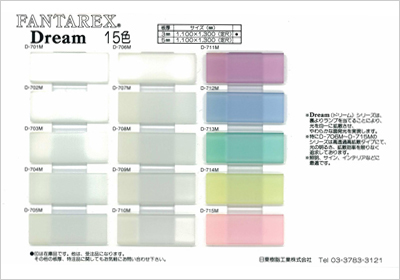 FANTAREX DREAM Series creates soft and warm atmosphere with variety of light source. D-701M～D-705M is a good match with the light bulb, and D-706M～D-710M is a good match with fluorescent lamp. There are variety of light transmission to choose from. 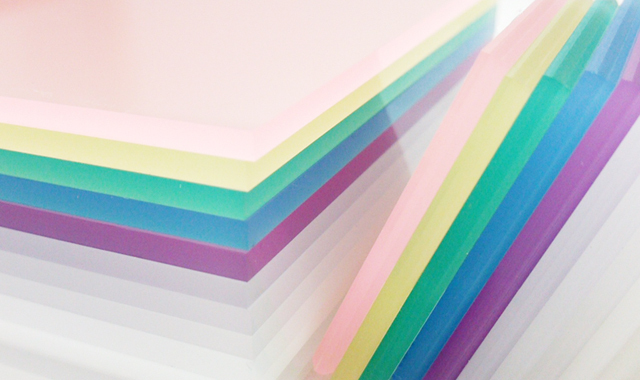 And D-71M～D-715M is a high transmission and high diffusion DREAM series with variety of color. The matt surface on one side and elegant glossy finish on the other side. Signage board / Display case / Lighting / Interior / etc.